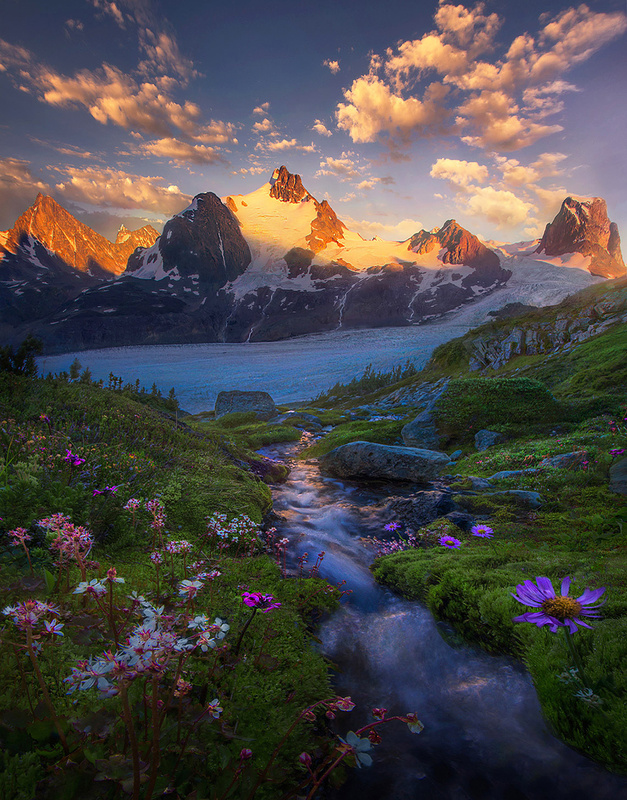 A small stream cascades through flowers in this tiny, mossy garden perched on a slope above rivers of glacial ice below with jagged high peaks beyond. Through the valley echoed the massive waterfalls pouring down the flanks of the opposing ridge. Photo © copyright by Marc Adamus.